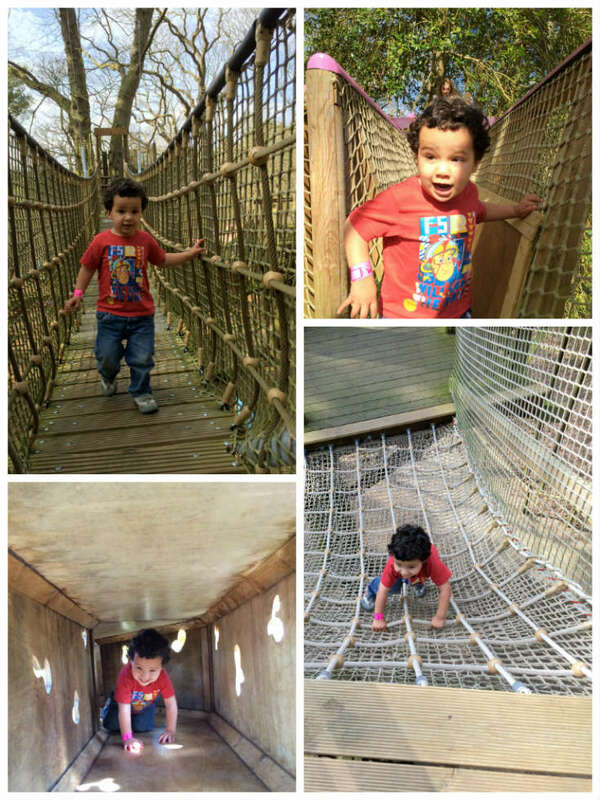 While we were away staying in Parkdean Cherry Tree last weekend, I knew that we definitely needed to make time for a trip to BeWILDerwood. I have heard so many good reviews and experiences, so I was sure that the boys would love it. We weren’t disappointed! It really is a lovely family day out and was enjoyed by the whole family. 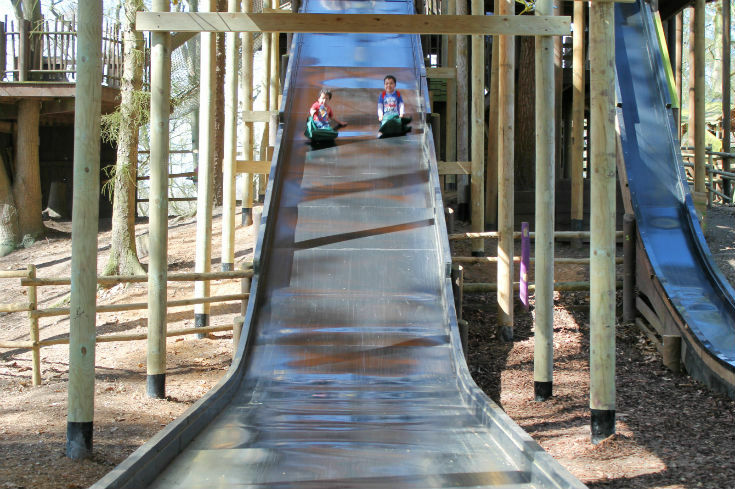 Once we got to the heart of BeWILDerwood the children were very eager to go and climb and play and they had loads of fun on all the play areas. Even Mr R who’s only 2 and a half was still happy to climb up the really high play structures with his brothers, he has got very brave these days! And loads more too like the Muddle Maze, which Mr Z loved, and the wobbly wires and the broken bridge. 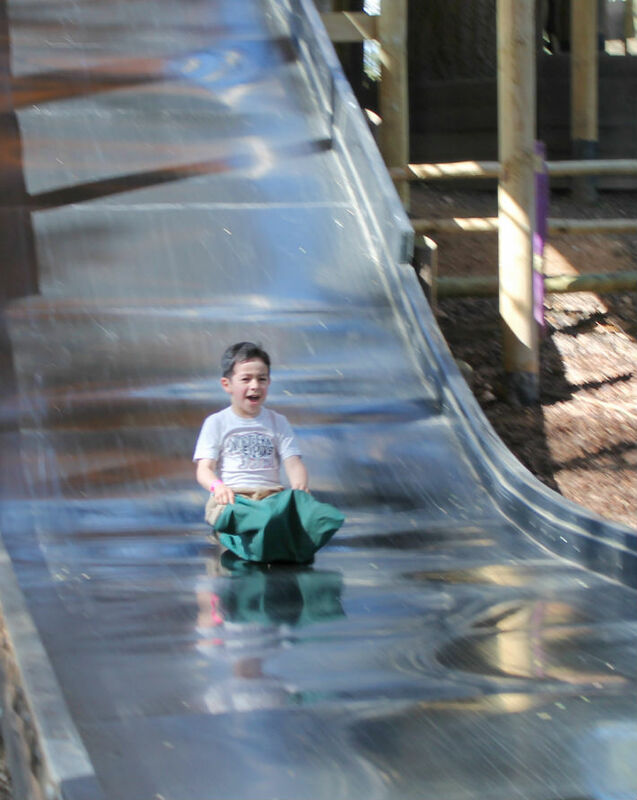 For younger children there are two areas which have slightly less challenging play equipment, but are still lots of fun. The boys did have a play in one of these especially as they noticed the sand pit and were keen to make sand castles! This was one of the highlights for the boys so we ended up riding the boat twice. 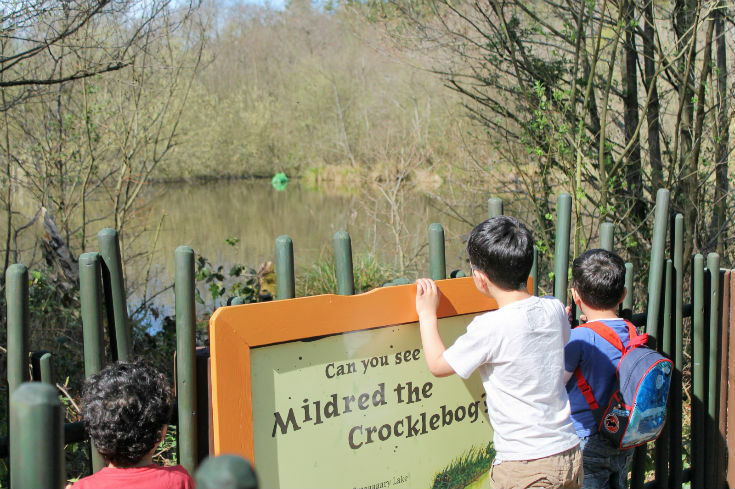 It’s quite a short journey which takes you on a little tour around the scaaaary lake, and they loved seeing Mildred the Crocklebog which sprays some steam out as you pass by. It really made me jump the first time as I wasn’t expecting it! But the boys found it so funny. There is just a few minutes wait for each boat ride, we never had to wait any more than 5 or 6 minutes. I was really happy to see a den building section available. We love den building! (You can see a previous Den Building post here from our holiday in Wales) This section is great for a bit of a break from running around on all the play equipment, it has a very quiet and calm feel. 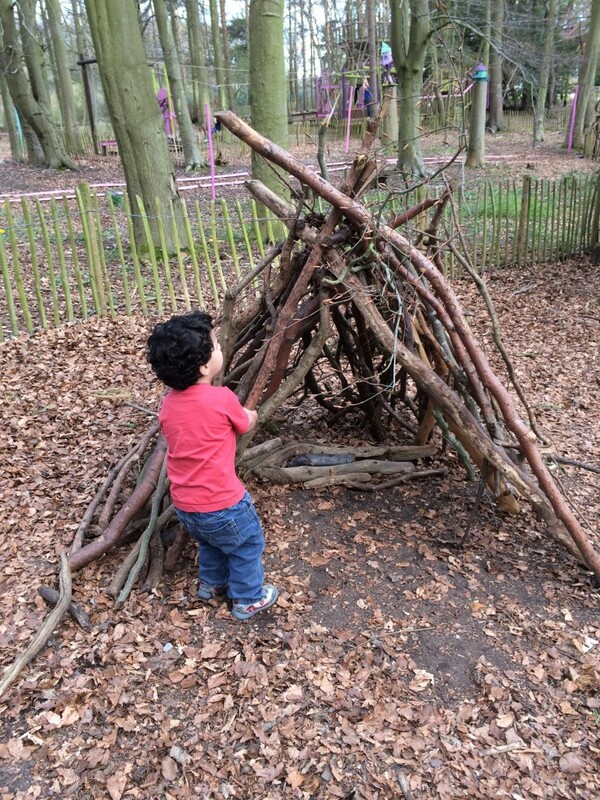 It’s just an area with loads of logs and sticks which can be used to build dens – very simple and back to nature play which I love to see the kids doing. It’s great for their team building too. Some of the logs are quite heavy, so all three had to work together to carry them over to their den. 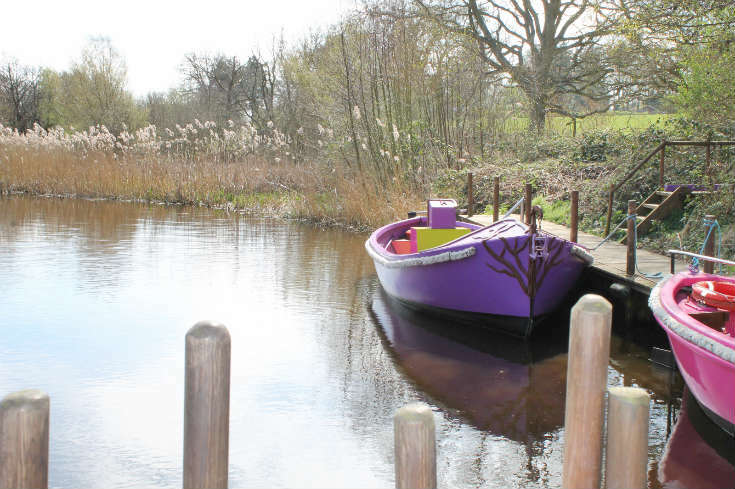 We had lunch at BeWILDerwood and I was happy with the food, there was plenty of space to sit and not too much queue to buy lunch. We got jacket potatoes and the kids got the special kids lunch boxes with sandwiches, some fruit and some snacks and drink. I found the prices quite reasonable, it’s not so cheap but it’s comparable to any cafe and the food choices are a lot healthier than you would get at a day out in a theme park. 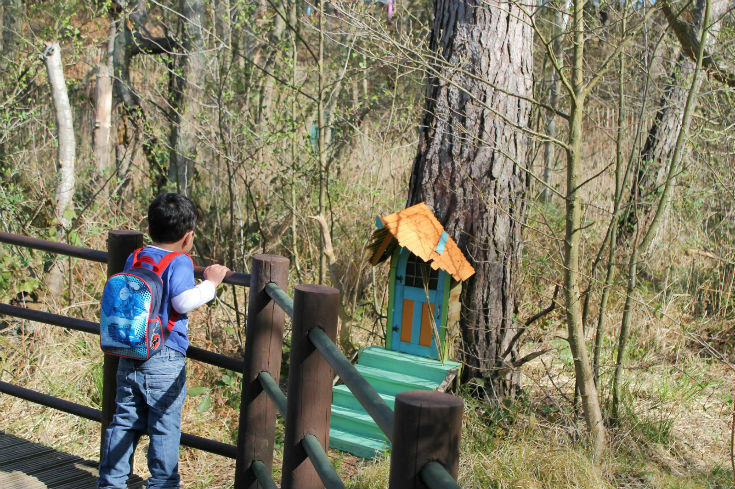 We would definitely recommend BeWILDerwood if you are visiting the area. 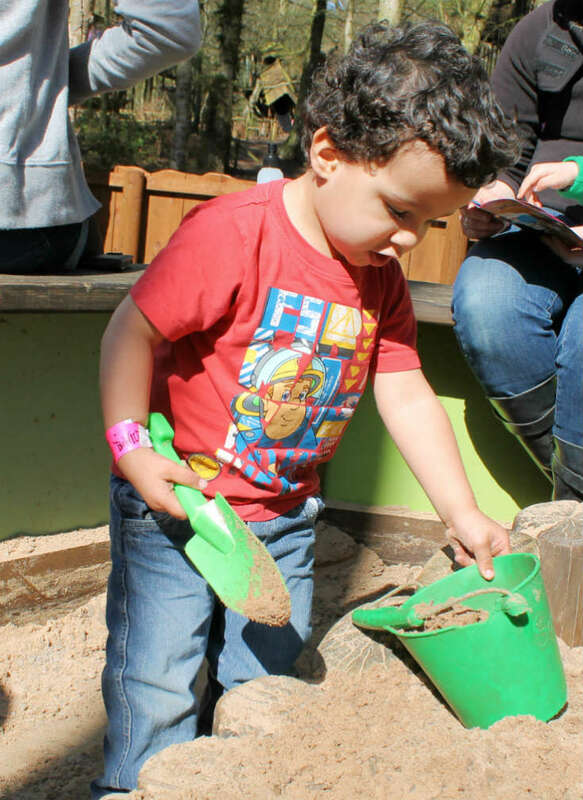 It’s a perfect day out to use up the kids energy; to keep them active and having lots of fun. You can easily spend a full day there and not run out of things to do. We arrived in the morning and stayed near to closing time, and we did more than half of the park but there are a couple of things we did not get a chance to try out like the craft tent, and storytelling. BeWILDerwood has it’s own unique feel to it and it is a really lovely place. If we are back in the area in future, we would go back again. 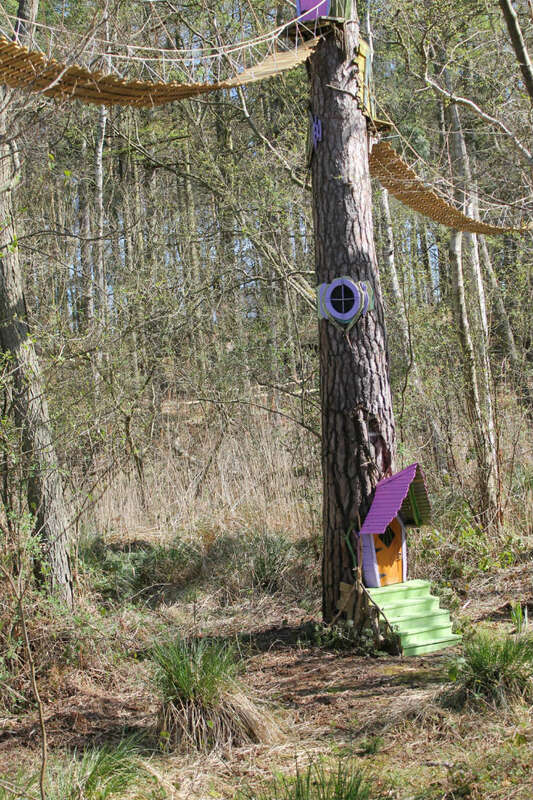 If you would like the chance to win a family ticket and take your kids to BeWILDerwood hop over to my giveaway and enter the Rafflecopter. 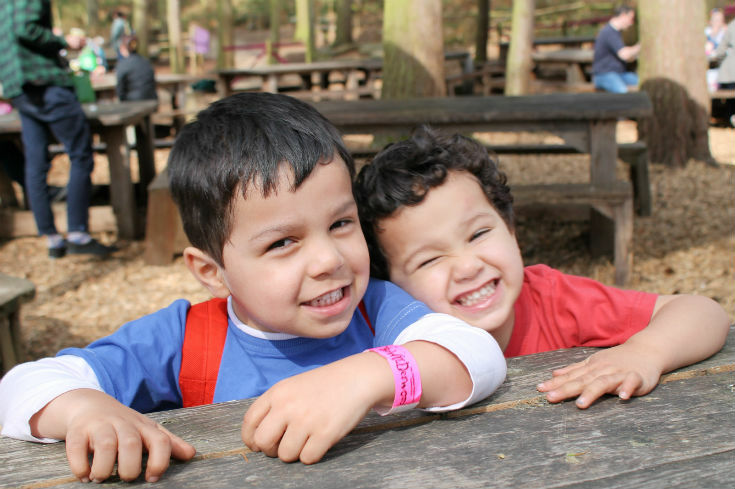 *We were given free entry to BeWILDerwood in order to review. Our views are not affected. Looks an amazing day out! That looks like a great day out. Lots of exploring. 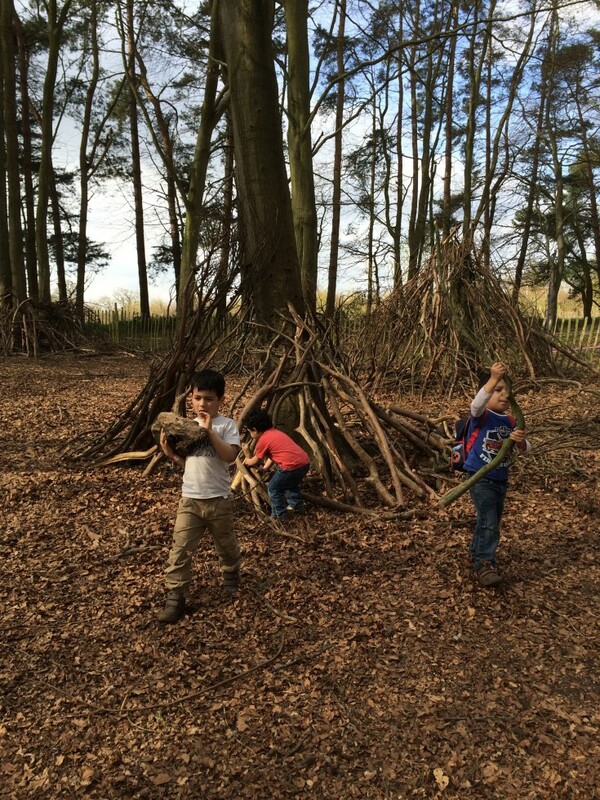 Your Den was fab what great building skills. 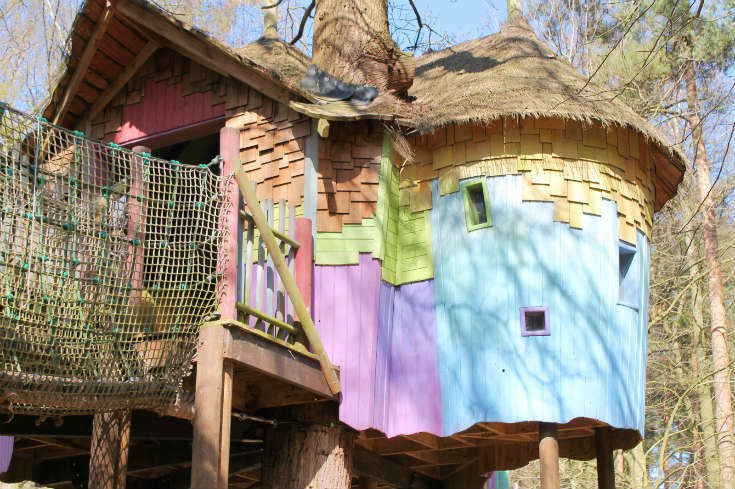 I have heard so many good things about Bewilderwood and it looks like it didn’t disappoint. 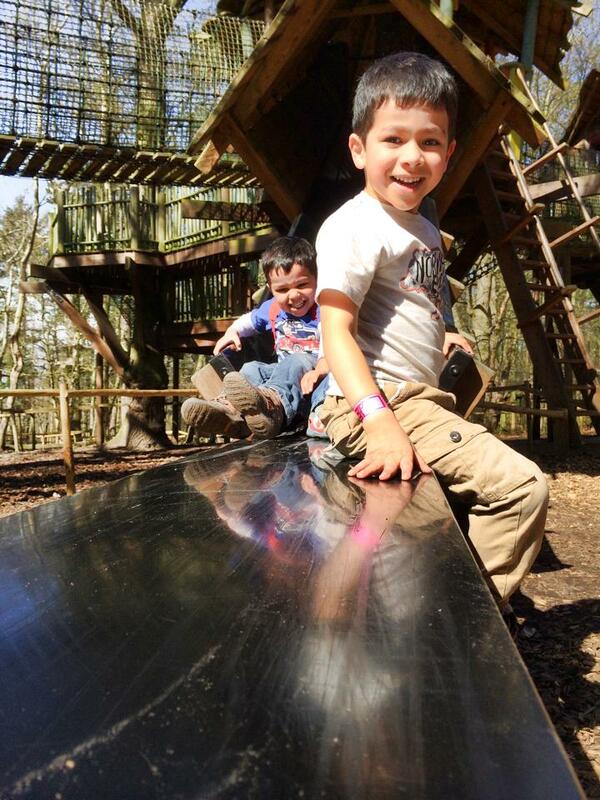 Fabulous photos of what looks like the perfect family day out!